The Northwest Sportshow started Wednesday and runs through Sunday (April 1, 2012) in Minneapolis. The Gulf Coast Yacht and Boat Super Show is Friday, Saturday and Sunday at the Wharf, in Orange Beach, Alabama. The Regatta Pointe Marina Spring Nautical Expo is also Thursday through Sunday in Palmetto, Florida. The Hampshire Dome in Milford, NH, is home to the Great Northeast Boat Show - Thursday through Sunday. 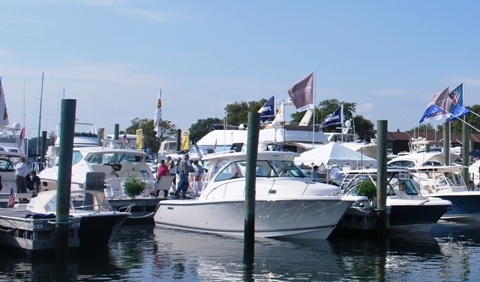 Head to Queensbury, New York, for the Great Upstate Boat Show - Thursday through Sunday. On Saturday and Sunday, it's the 29th Annual Vero Beach Spring Boat Show Riverside Park in Vero Beach, Florida.